Each year, on MLK day, I pull out my copy of A Testament Of Hope: The Essential Writings And Speeches Of Martin Luther King Jr., and I read “Letter From Birmingham City Jail”. You can read it online here. MLK wrote this open letter as a rebuke to the South’s Christian leaders of the day, and as a defense to non-violent resistance. For all of the reasons that a person should read this letter, I do it, mainly, for this reason: To remind myself to always be kind, no matter the situation. The kindness in King’s language is unmistakable. At a moment in history where inflammatory language is justified, King chooses words of love and kindness. Make no mistake, he is clear in his disagreement with their position, but the words he chooses are filled with grace. It is a wonderful example of how modern-day folk should communicate with one another when differences separate us. 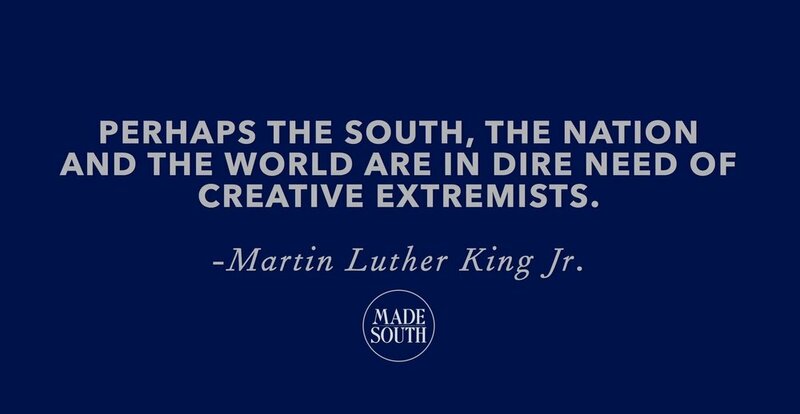 If you’d like to have great Southern quotes (and more!) 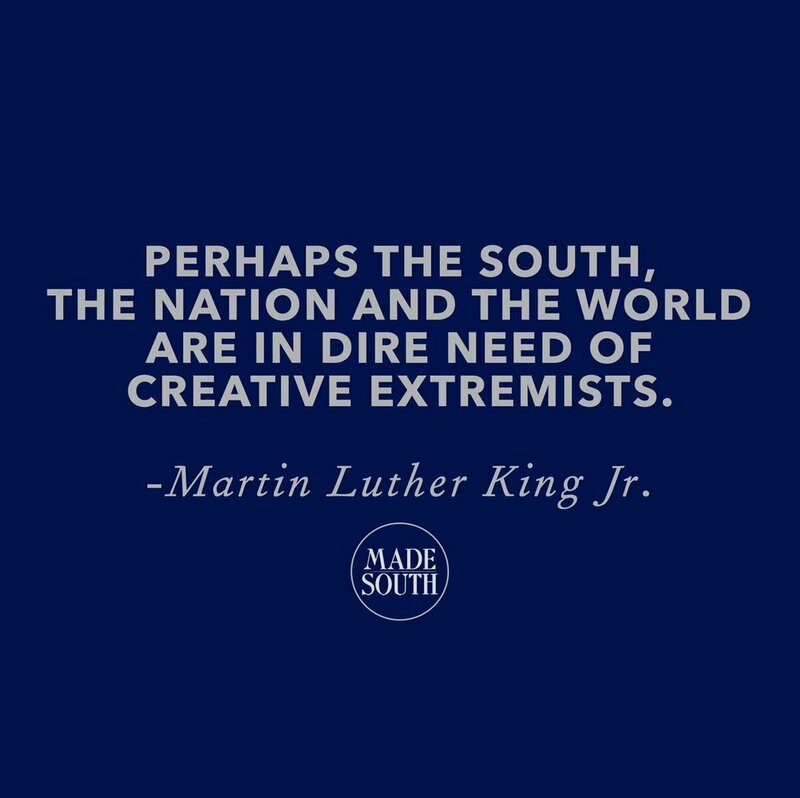 delivered straight to your inbox once or twice a month, join our MADE SOUTH Email Community.